When you dream of your destination wedding, a few things may come to mind – pristine beaches, a romantic escape, and maybe a little bit of adventure. 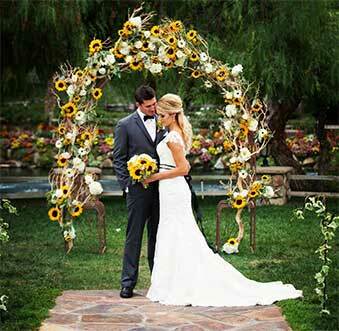 And when you make Newport Beach your wedding destination, you’ll find that your dreams can become reality. The natural beauty of this coastal community makes it the ideal destination for your special day. Whether you envision an intimate Southern California wedding, an extravagant ceremony on a magnificent yacht, or an engaging service at one of Newport Beach’s grand resort hotels or charming waterfront inns, or even the ideal wedding on the beach, you will find your perfect fit among the wide selection of Newport Beach wedding venues. Once you’ve arrived, the possibilities for your wedding getaway are endless. From activities such as surfing, kayaking, and hiking to simple moments such as soaking up the sun on the sand, enjoying fine dining, or escaping to retail therapy or luxurious spas, Newport Beach’s breathtaking coastline is a beach lover’s dream come true, and offer the best and most memorable weddings on the beach. Your getaway can be as active or leisurely as you want to make it, and when you’re in Newport Beach, your time will be full of romance no matter how you choose to spend it. 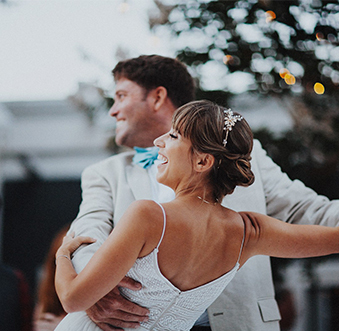 Visit Newport Beach is here to provide you with information on all of your wedding details from guest accommodations to entertainment to wedding services. We understand that the walk down the aisle represents the beginning of your journey together, and we want to make the process leading up to this moment as simple and stress-free as possible.